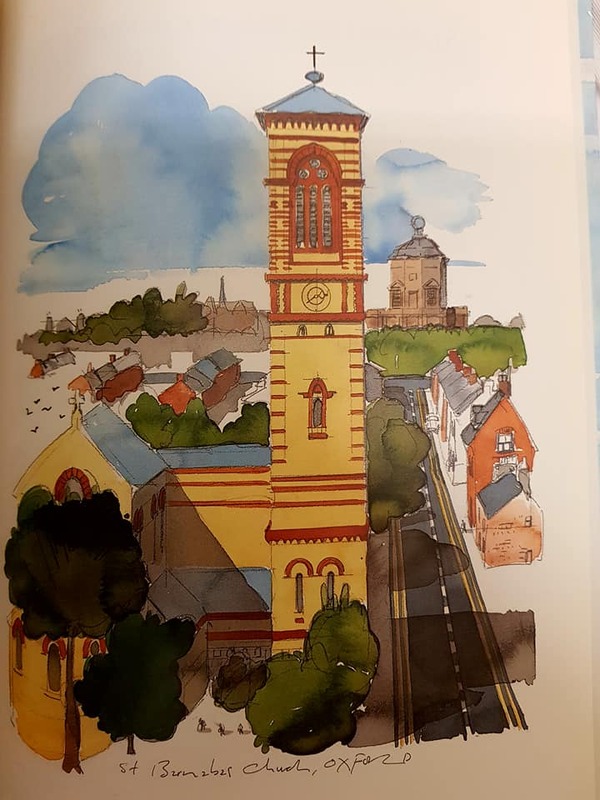 In Praise of Churches by John Betjeman…..
Perhaps this compilation of John Betjeman’s love of the Church might not be my first choice of reading material but pair it with illustrations by Paul Hogarth and my attention is secured. 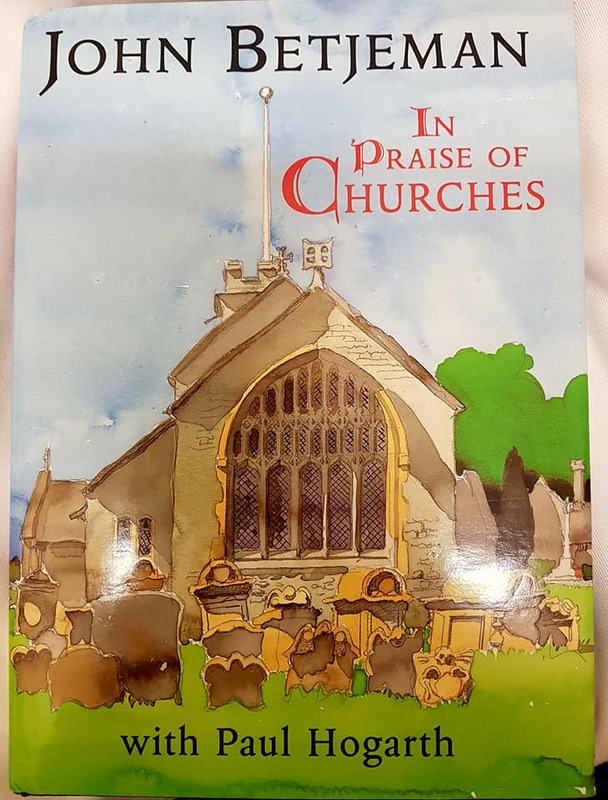 Published in 1996 as a collection of his work, Betjeman writes beautifully of parish churches, hymns, church life and its place in the community. The rich history of the Church, for better and for worse is detailed by the great man who clearly loved the art and, like Hogarth, the architecture of the Church. Hogarth’s fascination with architecture and its history is well known and explains a great deal in the quality of his paintings. In this, his second collaboration that year, Hogarth relishes the opportunity to travel across his beloved country recording not only the churches themselves but also the surrounding scenes, the people associated with daily church life and the many sacred artefacts associated with them. The number of poems featured in the book are by no means the principle substance, the book is thoroughly researched and broad in topic. 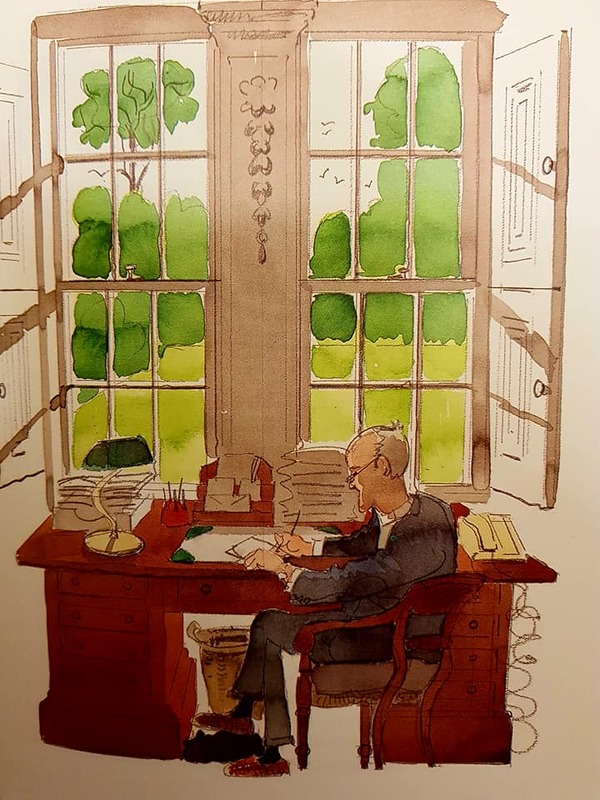 Betjeman wrote a great deal about the Church during his lifetime, his depth of knowledge was considerable and wide-ranging with a particular interest in some of the nineteenth century architects such as J.L. Pearson and Bodley. He particularly loved Pearson’s Early English Gothic style and his legacy of Victorian churches which continues to this day. Hogarth visited all of the places Betjeman names in the book and so provides us with yet another glorious pictorial tour of England through his eyes. This painting of St Barnabas Church in Oxford shows the building in its city location and accompanies another of Betjeman’s verses:’How long was the peril, how breathless the day. In topaz and beryl, the sun dies away. His rays lying static at quarter to six, on polychromatical lacing of bricks. Good Lord, as the angelus floats down the road, Byzantine St Barnabas, be Thine Abode’. Hogarth was approached by the publisher John Murray to illustrate the anthology and, as he wrote in his autobiography, it was a wonderful opportunity to rediscover his home country after years of globetrotting. It is a shame Betjeman never lived to see the results.